Tonight the NC Museum of Art's summer lawn series showed Brokeback Mountain, which won three Oscar awards this year and a film for which I had heard nothing but strong praise. Perhaps it will grow on me, but I found the film to be almost oppressively sad and stagnant. I particularly found it very difficult to relate to one of the two main characters, Ennis Del Mar, played by Heath Ledger, a person truly of few words and a lawless temper. 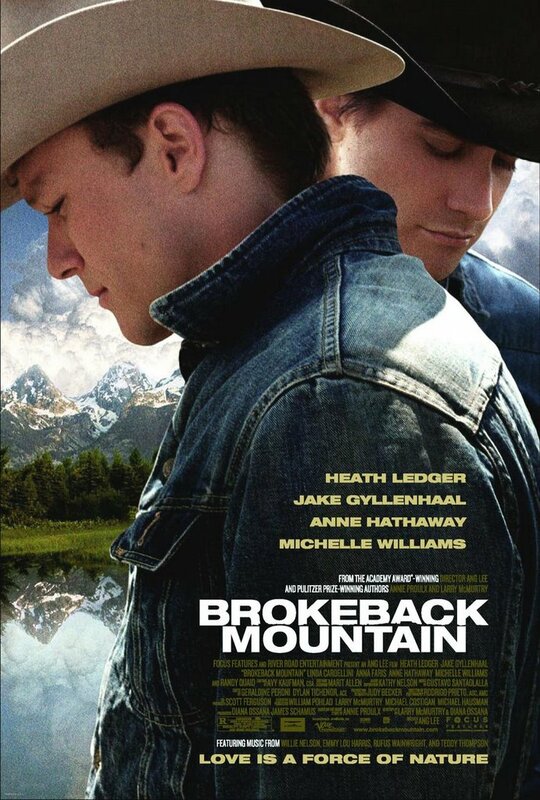 The scenery was beautiful and the story, of two cowboys who develop forbidden feelings of both love and lust for each other, not at all formulaic.